"I found this years ago in a recipe book made by a local church auxiliary. I make it and use it as a dressing for pasta salad or tomato and cucumber Greek salad. I usually mix a day ahead and the flavors taste 100 times better!" 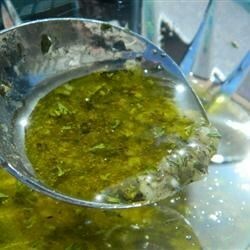 Whisk vegetable oil, vinegar, sugar, salt, parsley, garlic, basil, celery seed, marjoram, and black pepper together in a bowl. Loved this-I made with apple cider vinegar and didn't have the marjoram so I just omitted it. Squirt of honey in place of white sugar. Turned out delicious! I made this recipe as written twice. I may try cutting the the sugar in half and try a good balsamic next time. But raves from my dinner guests both times.